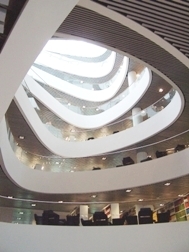 K-Drive partners from Spain, Italy, and UK had a two-day workshop (from 25th, Sep. to 26th, Sep.) at The Sir Duncan Rice Library in the University of Aberdeen. The following topics were covered. Proposal ideas for further corporations including especial focuses on Horizon 2020 programme.